Today is my last design in the project. 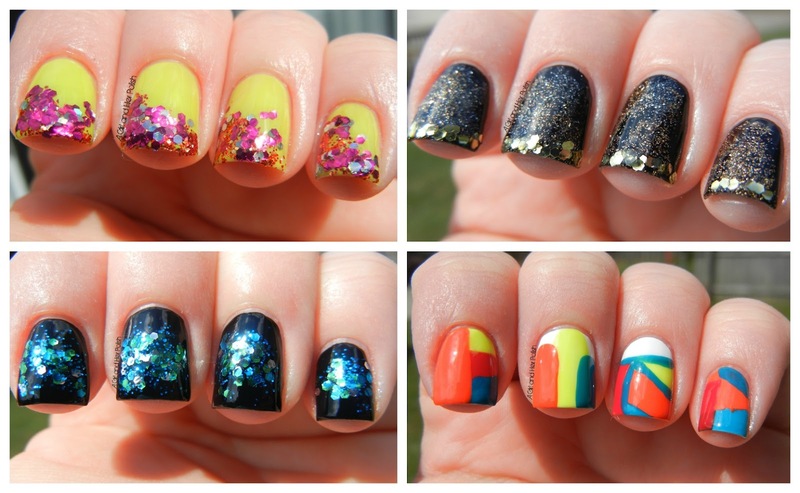 Colorblocking has become a popular trend in fashion and nail designs. A lot of the nail bloggers I follow have done lots of these designs. I think that I have done 2, but didn't call them colorblocking. This is an easy and fun design to create on your nails. If you want nice straight designs then I suggest you use tape to mark off your design. I decided to create a freehand colorblock and I did a different design on each nail. I started with 2 coats of White on the Spot. Using Jiffy Orange, Rapid Cherry, Totally 80s and Fresh Teal I randomly added my different designs. I also topped it off with 2 coats of Milani Top Coat. The colors are SO bright! I think I like my middle finger the best.